Malaria is a disease caused by plasmodium parasite which is transmitted through the bite of infected Anopheles mosquitoes. Once the parasites (called sporozoites) enter the human body, they travel through the bloodstream to the liver. In the liver they mature and then re-enter the bloodstream and infect red blood cells and multiply inside them. Within 48 to 72 hours of becoming infected, the red blood cells rupture, releasing more parasites (merozoites) which in turn infect more red blood cells. The life cycle varies according to the species of Plasmodium. For P. vivax it is 48 hours, P. malariae 72 hours, and P. falciparum 36 to 48 hours. Malaria causes anaemia, the result of destruction of red blood cells and the problems caused by large amounts of free haemoglobin released into the circulation after red blood cells rupture. The first symptoms usually occur 10 days to 4 weeks after infection, though they can appear as early as 8 days or as long as a year later. The symptoms of Malaria occur in cycles of 48 to 72 hours, due to the massive release of merozoites into the bloodstream. The anemia resulting from the destruction of the red blood cells, and the problems caused by large amounts of free hemoglobin released into the circulation after red blood cells rupture. Malaria can also be transmitted congenitally (from a mother to her unborn baby) and by blood transfusions. Malaria can be carried by mosquitoes in temperate climates, but the parasite disappears over the winter. The disease is a major health problem in much of the tropics and subtropics. The CDC estimates that there are 300 to 500 million cases of malaria each year, and more than one million people die. It presents the greatest disease hazard for travellers to warm climates. In some areas of the world, mosquitoes that carry malaria have developed resistance to insecticides, while the parasites have developed resistance to antimalaria. This has led to difficulty in controlling both the rate of infection and spread of this disease. Falciparum malaria, one of four different types, affects a greater proportion of the red blood cells than the other types and is much more serious. It can be fatal within a few hours of the first symptoms. During a physical examination, the doctor may identify an enlarged liver and an enlarged spleen. Malaria blood smears taken at 6 to 12 hour intervals confirm the diagnosis. The outcome is expected to be good in most cases of malaria with treatment, but poor in Falciparum infections with complications. In most cases, malaria is treatable and curable. Antimalarial drugs are readily available at hospitals and clinics. Drugs used include chloroquine, quinine and primaquine. The drug regime used for treatment depends on factors such as age, where the malaria was acquired (as the malarial parasite from certain areas may be resistant to common ant-malarial drugs), and drug allergies. Seek medical advice early if you are returning from abroad with any symptoms suggestive of malaria. In severe cases, the person suffering from malaria may require treatment in the intensive care unit of a hospital, especially if there are complications involving the brain or kidneys. Malaria, especially Falciparum malaria, is a medical emergency requiring hospitalization. Chloroquine is the most frequently used anti-malarial medication, but quinidine or quinine, or the combination of pyrimethamine and sulfadoxine, are given for chloroquine-resistant infections. There is no effective vaccination against malaria, but antimalarial drugs may be given prophylactically to persons travelling to areas where the disease is widespread, or to pregnant women in areas in which the disease is endemic. Antimalarial drugs can be prescribed for visitors to areas where malaria is prevalent. Treatment should begin two weeks before entering the area, and continue for 4 weeks after leaving the area. The types of antimalarial medications prescribed will depend on the drug-resistance patterns in the areas to be visited. It is very important to know the countries and areas you will be visiting to obtain appropriate preventive support for malaria. Preventive measures are concentrated on destroying the mosquito by filling in swamps and other places containing stagnant water where mosquitoes breed, and by use of insecticides and natural biologic predators of mosquitoes. Most people living in malaria-prevalent areas have acquired some immunity to the disease. Visitors will not have immunity, and will need to take preventive medications. Even pregnant women should take preventive medications because the risk to the fetus from the medication is less than the risk of acquiring a congenital infection. People on anti-malarial medications may still become infected. Avoid mosquito bites by wearing protective clothing over the arms and legs, using screens on windows, and using insect repellent. 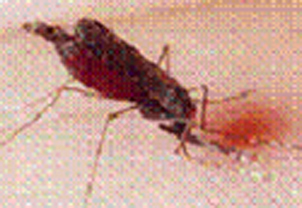 Chloroquine has been the drug of choice for protection from malaria. With emerging resistance, it is now only indicated for use in areas where Plasmodium vivax, P. oval, and P. malaria are present. Falciparum malaria is becoming increasingly resistant to anti-malarial medications. For travellers headed for areas Falciparum malaria is known to occur, the present drug of choice is mefloquine. Mefloquine has been approved by the FDA and is effective at preventing Falciparum malaria. Mefloquine can cause confusion and other mental side effects. Other drugs include Proguanil (available only in Africa), Fansidar (pyrimeth/sulfadoxine) and Malarone. Travelers can call the CDC for information on types of malaria in a given geographical area, preventive drugs, and times of the season to avoid travel.